The custom ring designer by Regnas helps you organise your designs and easily send them to us for evaluation. This service is provided free of charge. The examples of stones, metals, shoulders and designs are a selection of the more popular choices and using them will usually help to keep costs down. Sourcing more unusual stones and creating more complex designs will, naturally, add to the work entailed which will be reflected in our quote. 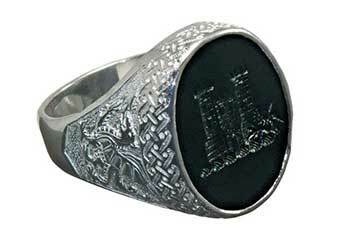 For our hand engraved and embellished custom rings we are usually talking along the lines of Silver $400 to $1800 and gold $800 to $4000. We are aiming at affordability with the very best quality and value. 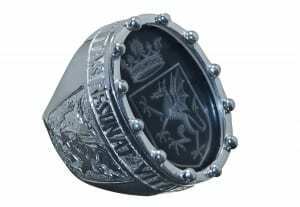 You can always email us directly using regnasjewels@gmail.com or use the contact section of this website if you have questions about the custom ring designer. 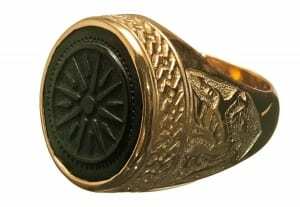 You can view examples of rings using the shapes outlined below. Just click on any shape. 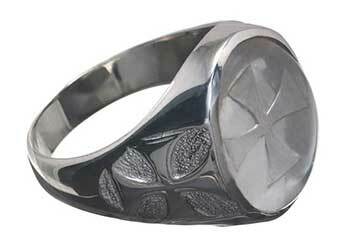 You can view examples of rings using the stones outlined below. Just click on any stone. Amethyst is a beautiful stone but in its natural form is prone to being somewhat unstable for engraving intaglio or sculpted. We therefore tend to advise minimal designs with this stone. 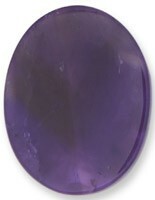 We also offer a synthetic Amethyst which is often a viable option. 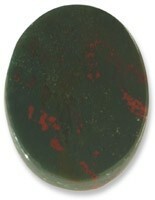 A lovely stone with its red inclusions. 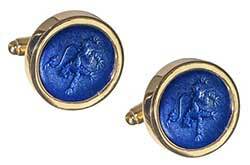 It is strong enough to take heavy engraving intaglio or sculpted. 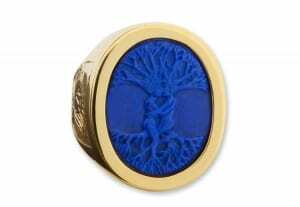 This is a real favourite but please note: The inclusions can detract from complex designs. 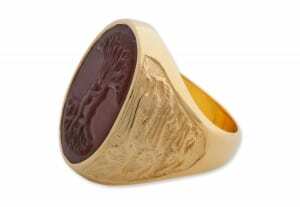 An all round winner throughout history this is a strong and elegant stone that can take very heavy engraving intaglio or sculpted. 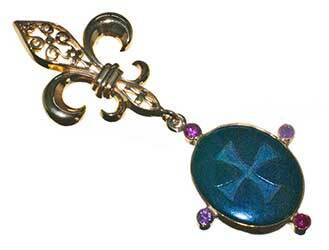 It looks great against Gold or silver and its lack of inclusions allow for complex designs. 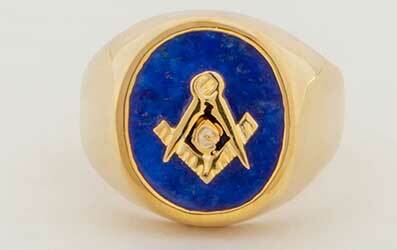 Another firm favourite on the custom ring designer. 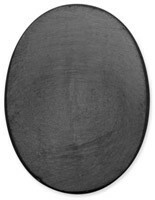 It is a strong stone that can take heavy engraving intaglio or sculpted. The stones are usually clear of inclusions and complex designs tend to show well. 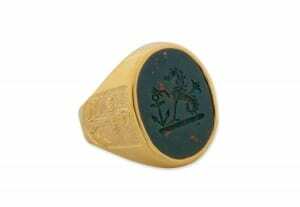 Another of the Jade family and a firm favourite being strong enough to take heavy engraving intaglio or sculpted. Please note: There are natural inclusions can detract from complex designs. 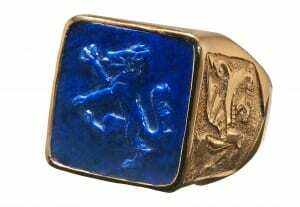 A good strong stone with a lovely colour and suitable for most engraving intaglio or sculpted designs. The stones do have light inclusions but complex designs tend to show well on this stone. An amazing natural stone which we can engrave intaglio or sculpted designs to. Of course we are somewhat famous for our special sub engraving system. If you do not see the stone that you require in the custom ring designer options then select this and give details in the next box. Note: 29x29mm and 26x26mm are not advised for ROUND or SQUARE shapes. 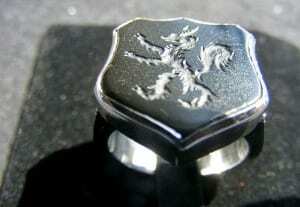 The pictures displayed in our custom ring designer are for reference and comparison only. Do you want to include a bezel or protective balls? 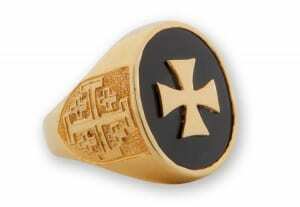 Note: Including a Bezel in your custom ring design does reduce the area available for engraving on the ring face. 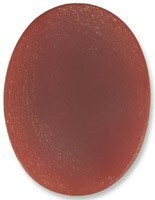 You can view examples of rings using Bezels or Protective Balls outlined below. Just click on any design. 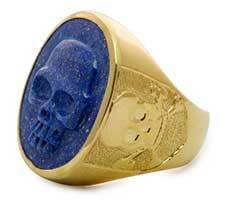 Do you want your ring engraved intaglio or sculpted or overlaid? 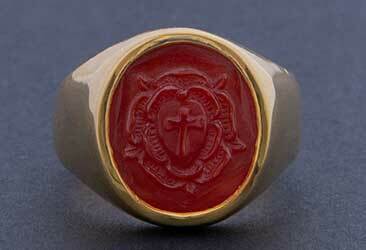 You can view examples of rings Engraved Intaglio, Sculpted or Overlaid outlined below. Just click on any design. You can send your design files to us using the up-loader at the bottom of the custom ring designer. Basically we will have a go at anything. Our purpose is to turn your dreams into actual pieces of jewellery. 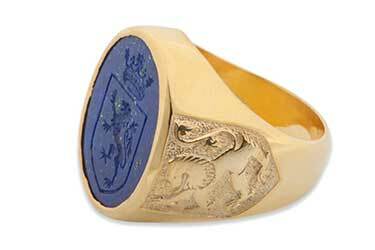 Do you want lettering around the crown of your ring? There is also a box for comments further down. 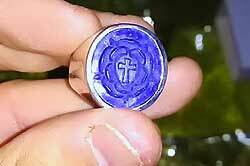 Please share the Regnas Custom Ring Designer with others!